Far too many beloved pet birds were lost in the flood and devastation of Hurricanes in Florida. A lot of new Florida residents have never lived through a major hurricane, so they rarely anticipate the capability for destruction of birdcage screens. Often, during an evacuation, residents feel like leaving home with all of the pets and birds is an overreaction, and rarely there are shelters that accept them anyway. Our advice? The very first step in the preparation of impending hurricanes is to be sure to have your birdcage screen properly inspected and reinforced. Should the situation arise where you still have to leave with your birds, returning from an evacuation to an intact birdcage screen is something, you can look forward to. With a birdcage screen that is in great shape and ready for the birds to return, you will be much happier. Pack a avian survival kit to last at a minimum of three weeks. You will need it if you stay home because your water and electricity may be out for days or weeks. If you leave, you can easily take it with you if you pack the dry goods in coveredplastic storage bins. Avian first aid kit (hydrogen peroxide, alcohol, medical tape, scissors, cotton balls, gauze, e-collar, styptic powder, flour or corn starch). All of your bird’s medical records. Photos of your birds in case you are somehow separated. Cash. ATMs will be inaccessible, empty, or not working due to lack of electricity. 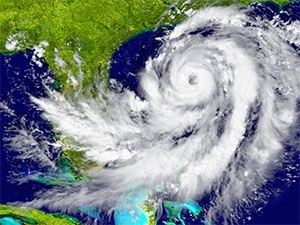 Read more about real people who have been unprepared for bird emergencies in hurricanes here.